If you ever wander along the Dutch coast, you may have come across partly hidden concrete structures – the remains of the network of bunkers built during World War II. Usually closed to the public, this Saturday (June 6) you have the chance to poke around inside because it is National Bunker Day. Here are some key facts. The Dutch bunkers form part of the Atlantic Wall, a series of coastal fortifications stretching from the Franco-Spanish border to the northern tip of Norway. Building started in 1942 – some 15,000 structures were planned (14,000 were built), to be manned by 300,000 troops – after Hitler failed to conquer Britain and feared an Allied invasion might be on the horizon. Organising the construction of the Atlantic Wall was the responsibility of German building firm Todt – which also helped build concentration camps – but the actual work was carried out by subcontractors who, apart from regular workers, used POWs and conscript labour. In all some 7.8 million people were deployed and within two years as many as 10,000 bunkers were built. In order to build the bunkers, great swathes of land had to be cleared, affecting coastal towns and cities. In many cases whole neighbourhoods were obliterated forcing the inhabitants to move to other parts of the country. In seaside resort Zandvoort, for instance, homes, hotels, boarding houses and boulevards within 200 metres of the beach were flattened and thousands of people displaced. Some of Zandvoort’s dreary apartment buildings were built on the waste land left by the ravages of the Atlantic Wall by canny post-war project developers. The Hague, home to the Dutch government and the royal family, was chosen as the location for most of the main German administrative centres, and consequently the city and nearby Scheveningen were heavily fortified. The much-hated head of the occupied Netherlands, Seys Inquart – mockingly called zes-en-en-kwart, or six and a quarter, and ridiculed because of his limp – took up residence on the Clingendael estate (now home to the Netherlands Institute of International Relations) where he had a command bunker disguised as a charming farmhouse. Nothing much happened until the invasion in 1944 and the Germans soldiers stationed on the Atlantic Wall spent their time doing not very much at all. A song that was popular among them at the time had it that any would–be invader should think twice before attempting an attack because if they came up against the boys from Bavaria they would be very sorry indeed: ‘Bei einen neuen Gastspiel am Atlantikwall/ nur keinem Bayern in die Hande fall (..)’. 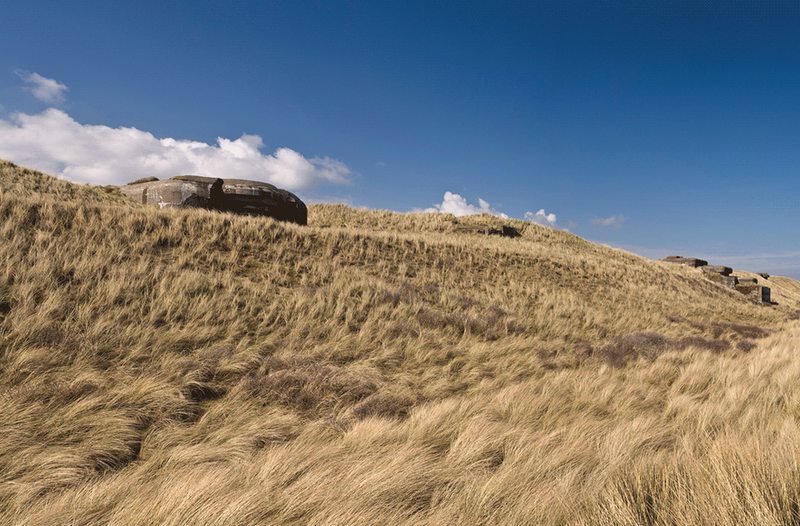 The dune landscape was damaged by the construction of the bunkers and although dune grass replanting work was started immediately after the war, the dunes remained vulnerable. Sand was swept away and bunkers started to subside and slide, weakening the dunes even further. 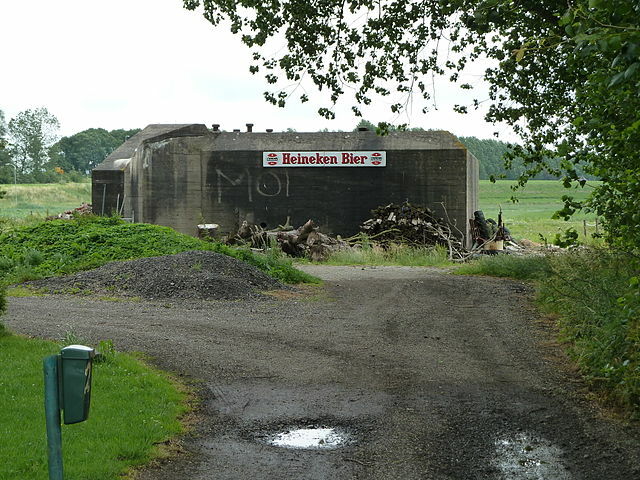 The presence of the bunkers facilitated the already devastating ravages wreaked by the storm tide which swept over parts of Zeeland, South Holland and North Brabant in 1953. After the war many bunkers were destroyed while others were used for a variety of purposes. Bunkers were turned into holiday homes, bars and restaurants and museums, or were simply used for storage. Some retained a military function. And some bunkers became a haven for bats. You can even own your own bunker: in Zandvoort two bunker holiday homes came up for sale in 2013 for the first time and in The Hague data storage firm Data Protectors bought a former hospital bunker which formed part of the Atlantic Wall. Many of the remaining bunkers lie buried under sand, or are located on private property. Here are a couple of bunkers you can visit. Vleermuisgang in The Hague Westduinen is a system of corridors which connects various bunkers. Here’s your chance to take a peek at several rare bat species who have made the bunker home. 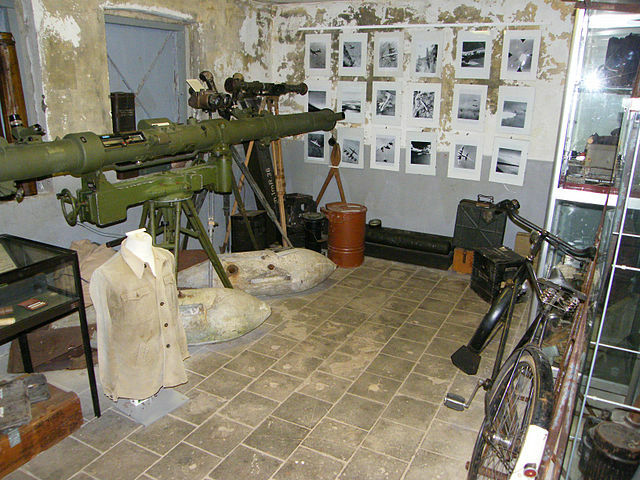 There’s Command bunker 608, with its original communications equipment in The Hague and the Bunker Museum in IJmuiden which is located in a complex of six bunkers (and run by dedicated volunteers).